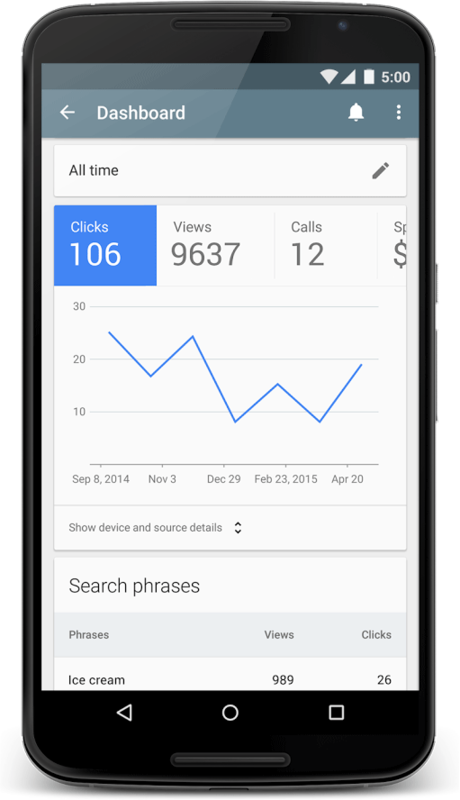 Google announced on Google+ that they revamped the Google AdWords Express mobile Android app. The new changes include a new front page interface that immediately shows the advertiser clicks, views and calls from your ad. Also, when you make edits to your ad text, the ad preview updates above where you are typing. You can get the update on Google Play.